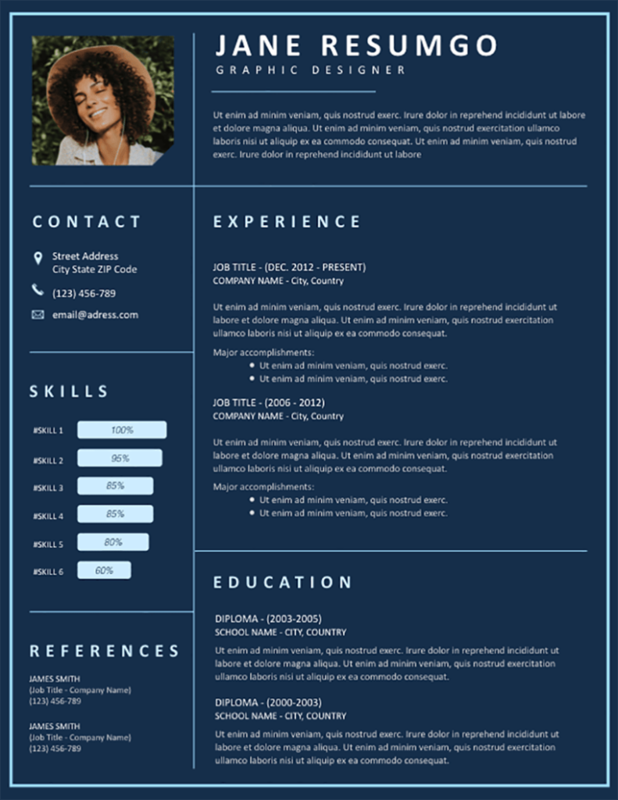 Kadmos is a plain blue background free resume template. Clean two-column layout with light blue separation lines. Let’s be honest here: this template, with the full plain dark background, is best to be used if you intend to send a digital copy of your resume. But you can also edit the background color and adapt it (Design > Page color). On the left side, insert your ID photo, your contact information, skills (bar charts) and references. On the right main part go on top your name, job title and objective/profile statement. And then detail your most valuable content: key experiences and education.